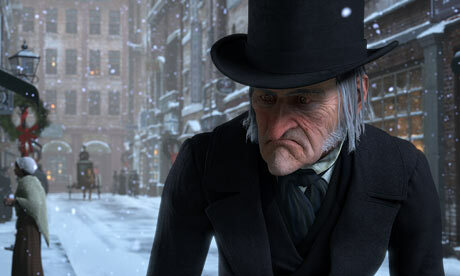 Call me old fashioned, but this time every year I read Charles Dickens’ A Christmas Carol. I know – typical of the English Literature student that I am, but it has been a favorite of mine since childhood, before I submitted myself to a full time degree of pretentiousness. Well… to be honest, I have only read it once. But every year I do watch the Muppet’s Christmas Carol. Whatever! Same story. Except with puppets. Continuing, I have a difficult relationship with Christmas. I do not really like it. I am a Scrooge, I “bah humbug”, forbid my flatmates to decorate and mute Christmas songs (Except E17’s Stay Another Day, as its lyrical content isn’t really that Christmassy – and it’s a tune). In early November I read an article that declared Christmas was coming as John Lewis had broadcast its new seasonal advert. “Humbug” I muttered, turning the page. Firstly, early November is too early to think about Christmas. Secondly, why do John Lewis ads dictate the start of the season? The story of the advert is about a hare disrupting a bear’s hibernation so he wakes up in time to enjoy Christmas. It is soundtracked by Lily Allen singing Keane’s ‘Somewhere Only We Know’. There is meant to be a Christmas moral somewhere here but I fail to see it. The hare has just ruined the rest of the bear’s year by waking him early and condemning him to insomnia. The song is irritating too – Allen has jumped on the Birdy and Gabrielle Aplin bandwagon by blandly covering a song in a fragile and weak girly voice. Lily, is that really your big comeback after dramatically quitting the music industry? You just sold tenfold back into it! bell music than anything else. The moral of the book restores my faith in the season – it reminds me that Christmas is a time when we can set an example of how we should always act: selflessly and considerately. It involves doing things for other people, rather than buying things. So this Christmas, don’t buy the bear an alarm clock, put a blanket over him and wish him a goodnight’s sleep.